Sign up to get the latest updates about what's going on at Genesis Apologetics. 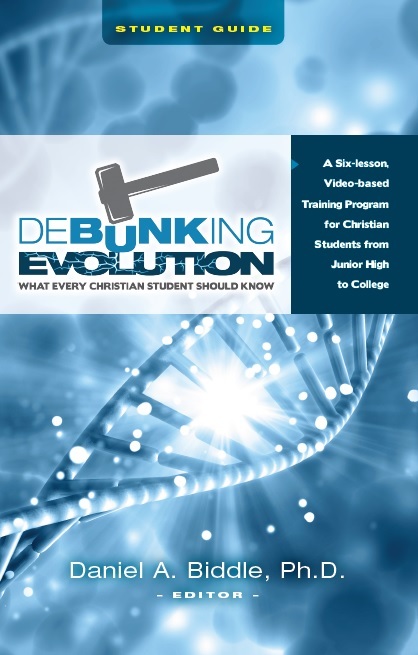 Below are the free resources for our "Debunking Evolution Taught in Public Schools" Program. 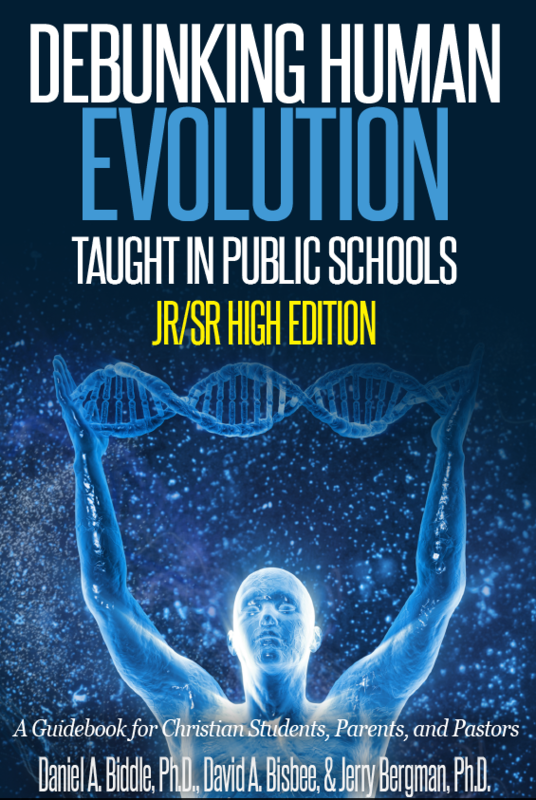 This program includes six lessons designed to address evolution teaching in public schools from a Biblical standpoint. 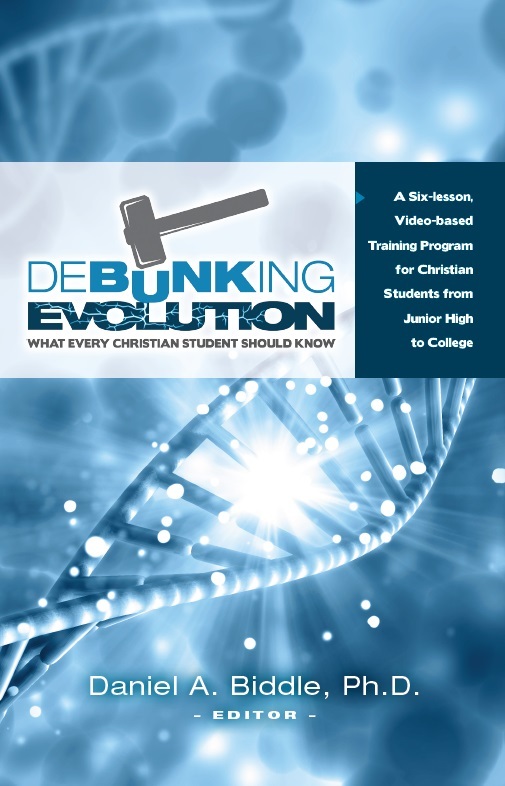 Twelve (12) videos, a Student Guide, and the Comprehensive Book can be used by students, parents, teachers, and youth ministers for learning how to address evolution teaching from an informed, Biblical perspective. Answers to the Top 50 Questions! 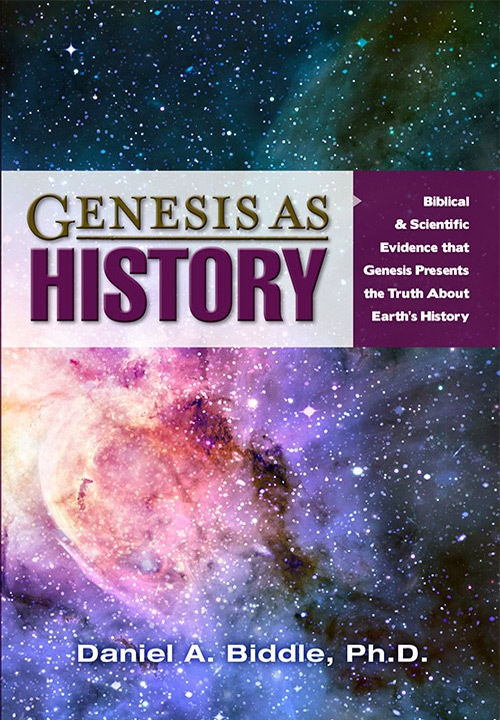 Age of the Earth: Does the Bible Really say that God Created the World only 6,000 Years Ago? Archaeopteryx: Proof of Transitional Fossils? Asteroids: Did they Kill off the Dinosaurs? Babel Dispersion: Is it Supported by Human Genetics? Behemoth in Job 40: Was it a Dinosaur? Cain: What was his Mark? Where did he find his Wife? Carbon 14 Dating: Does it go Beyond Biblical History? Creation Accounts: Are their Two Different Accounts of Creation in Genesis 1-2? Days of Creation: Were they Normal Days? Dendrochronology: Does Tree Ring Dating Disprove the Biblical Timeline? Dinosaurs: Did they Live Recently and Die in Noah's Flood? Dragons: Were they Dinosaurs that Lived After the Flood? Flat Earth Theory: Is it Supported by the Bible or Science? Fossil Record: Does it Support Creation or Evolution? Gap Theory: Is it Biblical? Genesis and Genetics: Do DNA Clocks Confirm a Recent Creation? Genesis and Genetics: Does DNA Variation Match a Recent Creation? Gilgamesh Epic: Which Came First, the Gilgamesh Epic or Noah's Flood? Human and Chimp DNA: Is it Really 98% Similar? Human Fossils: Why don't we find them with the Dinosaurs? Human Hearing System: Amazing Design? Ice Cores: Do they Disprove Biblical Timelines? Kangaroos: How Did They Make It All the Way to Australia from Where the Ark Landed? Languages: Can all Human Languages be Traced to the Tower of Babel? Leviathan: Was it a Real Creature? Lifespans Before the Flood: How Did People Live to Be 900 Years Old Before the Flood? Noah’s Flood: Does Catastrophic Plate Tectonics Provide the Mechanism for Splitting Apart Pangea or Rodinia? Noah’s Flood: How Could All the Animals Fit on the Ark? Noah’s Flood: How Could the Ark Have Been Seaworthy? Noah’s Flood: How Did People, Animals, and Vegetation Disperse Around the World after the Flood? Noah’s Flood: Where Did All the Water Come From? Noah’s Flood: Worldwide or Local? Pre-flood World: What Was It Like? Races: Where Did They Come From? Radiometric Dating: Doesn’t it Show that the Earth is 4.5 Billion Years Old? Red in Tooth and Claw: If Animals Were First Created to Be Vegetarian, Why Do Many Look like They Were Designed to Be Carnivores? 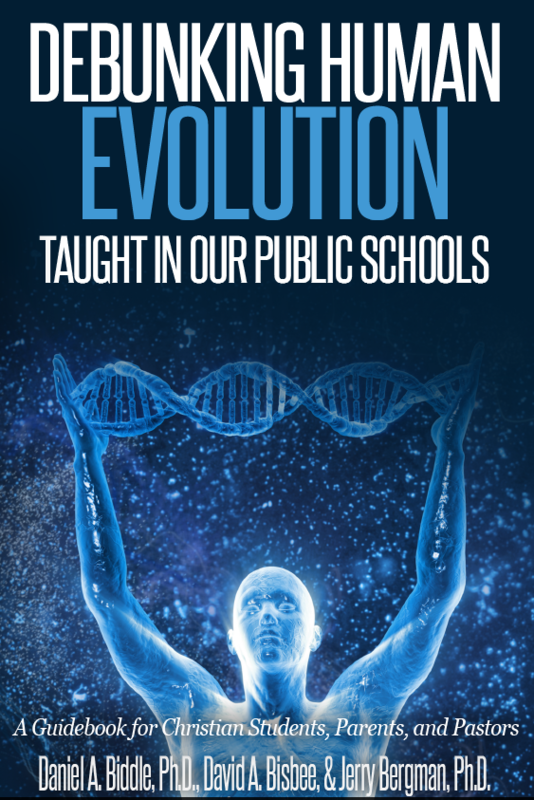 Science: Does Evolution Theory Hold up to the Rigors of “True Science”? Starlight: Doesn’t Distant Starlight Prove Creation Is Billions of Years Old? Sun Day 4: How Can Light Exist During the First Three Days of Creation When the Sun Was Not Created until the Fourth Day? Theistic Evolution: What’s Wrong with the Idea That God Used Evolution to Create Everything? Tiktaalik & Coelacanth: Transitional Fossils? Water: When was it Created? Wisdom Teeth: Are they Leftovers from Evolution?